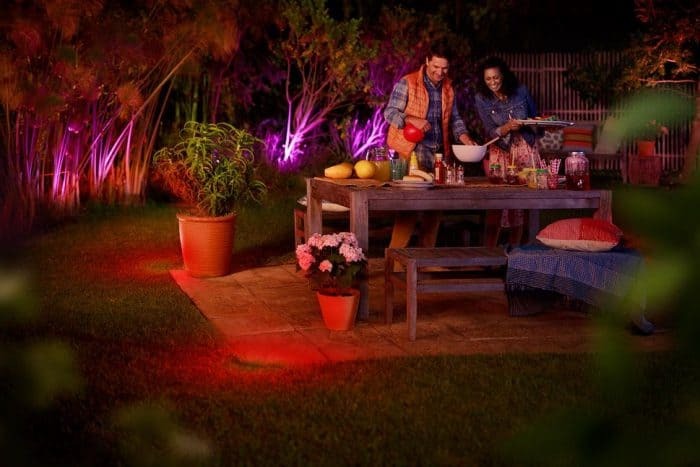 Philips to launch Hue 3.0, Hue Entertainment sync platform, and outdoor lights. Samsung, meanwhile, is doubling down on SmartThings and consolidating 40 apps in an effort to own the smart home. Sneak peek at Philips Hue 3.0 app. 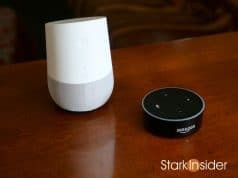 At CES this week there’s been no shortage of smart home news. Nextgen TVs and voice activated assistants, notably ones based on Amazon Alexa and Google Home/Assistant, have dominated headlines. It must be especially hard for Apple knowing that it’s missing out (HomePod hub delay) in the early days of this fast growing — and at times confusing — market segment. But there’s plenty more interesting things peculating below the radar in Las Vegas — other than the wild success that is the expansion NHL team known as the Golden Knights. Two announcements in particular caught my eye. Samsung is investing heavily in development for its SmartThings hub and platform. First, Samsung is apparently doubling down on SmartThings. The app, for those unfamiliar, works in concert with a physical SmartThings Smart Home Hub and can control and automate things around the home. 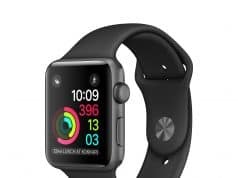 You can, of course, turn lights on and off, but you can also do more advanced things such as use motion control to activate devices and change your home to various states using “routines” based on the presence, say, of your iPhone in the vicinity (still a little spotty in my tests). 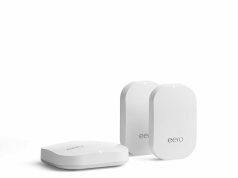 Because ST uses Zigbee and Zwave communications standards there’s an abundance of compatible third party sensors and devices — unlike Apple’s HomeKit which has fewer, but arguably at the benefit of better reliability (and higher prices). 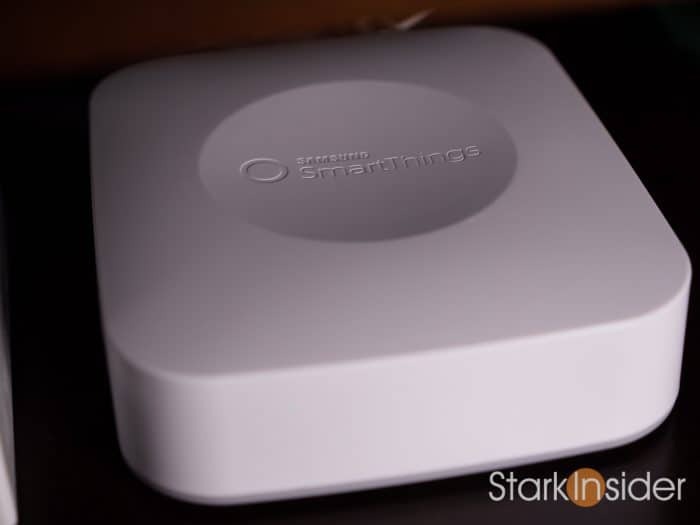 Samsung acquired SmartThings in 2014 via NEXT, a start-up in the San Francisco Bay Area. The move appears to be quite successful. Samsung says there’s over 10 million devices in 1+ million homes in SmartThings, representing 300% growth. Now they want one app to rule all of IoT. What does this consolidation mean? That’s essentially what we know so far. This is going to be a big move for Samsung. My suspicion is that successfully integrating that many apps (a lot of them with, no doubt, several product and engineering teams spread across the company) will be no small feat. As a SmartThings user — we have leak and contact sensors as well as a few light switches and smart plugs around the home — I’m hoping this makes the app more robust… and reliable. Presence sensing, in particular, needs help. In theory it sounds wonderful. ST senses you left the home because your iPhone is no longer in proximity so it arms the alarm, turns off lights, and performs any number of tasks you define. Same thing when you arrive home. It detects the presence of your phone. And adjusts the thermostat, turns on lights, etc. In practice, unfortunately, the feature is very unreliable — at least in my experience. Beyond that nit, there’s a bigger picture. If I open my “wiring closet” I not only see a rat’s nest of cables, but also I see hubs upon hubs. Well, five, at least for now: Philips Hue, Insteon, Sonos, Lutron Caseta, and Samsung SmartThings. Hub. Hub. Hub. Hub. And hub. Seems like consolidation would be a nice thing. If Samsung can pull it off it may position itself well against the competition. We will soon find out as the app overhaul is promised for Q1 of 2018. Another one of my favorite smart home makers, Philips, is also planning to give its app and platform a boost. Look for a new Hue 3.0 app for both iOS and Android in “early” Q2 of 2018. 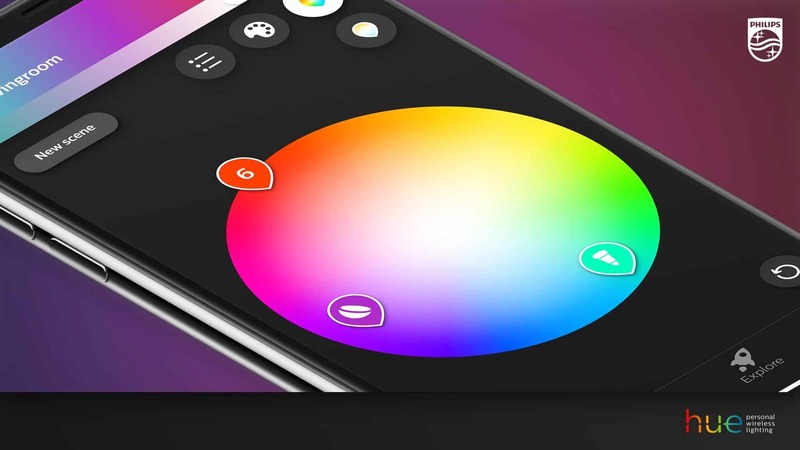 Hue 3.0 will be bringing back the multi-device color picker that so many of us miss from the original app. There’s a new algorithm that will enable you to choose colors from a photo. And, finally, the new Hue app should bring a host of ease-of-use improvements (not that it’s hard to use in its current iteration). In addition, Philips announced something called Hue Entertainment. This is a new platform designed to tackle the quickly growing light sync market. We’ve seen this context aware technology from companies like Nanoleaf and Lifx with their color shifting panels that can be installed on walls and various surfaces. The idea is that they can sync to various activities. If you’re playing a video game, they can detect color palettes and shift along with the game’s various scenes. Same, too, with movie watching. Some may find this distracting, but many are loving the feature — aka “RGB lovers”. Subsequently, I would not be surprised to see more companies jump into this space. Apple? Google?Amazon? Eventually, probably all, yes; either through native development or acquisitions. According to CNET which dubs the new platform a “game changer,” Hue Entertainment will first partner with Razer to sync with its color-changing keyboards, mice and mousepads. To which I say, well, okay, that’s a start if not exactly the most exciting thing ever. Still, this is an interesting sign of things to come. When it comes to the smart home, it appears lighting is a key and potentially lucrative foothold. Coming Summer 2018: Philips Hue outdoor lights and fixtures. Another thing to look for from the Hue line this year is outdoor lighting. New bulbs and fixtures are expected summer 2018. Now when I watch The Neon Demon, I’ll be able to sync my backyard and bathe it in Bava-like purples and blues. Ah, (the surreal) life is good. 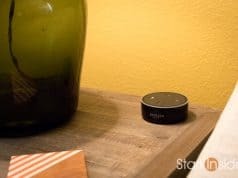 Replacing Sonos with Amazon Echo & Alexa – is it a good idea?